NOTE: For more information about President-elect Woo and additional videos, please click here. Woo served as the Buckner W. Clay Dean of the College and Graduate School of Arts & Sciences at the University of Virginia (2008-14). As dean, she oversaw 11,000 undergraduate students, 1,600 graduate students and 800 full-time faculty, and was a noted innovator and reformer of its graduate programs, international partnerships and fundraising operations. Annual philanthropic support for the College nearly tripled under her leadership. 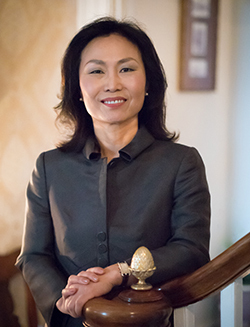 Meredith Woo will take office as Sweet Briar’s 13th president on May 15. Most recently, Woo has been in London working as director of the Higher Education Support Program for the Open Society Foundations. 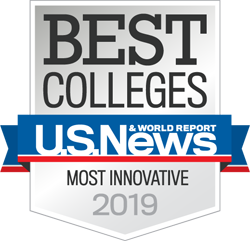 This program is responsible for creating and supporting more than 50 liberal arts colleges in the former Soviet bloc and supporting higher education for refugee populations in the Middle East, South Asia and Africa. Prior to UVa, Woo was the associate dean for social sciences at the University of Michigan and a tenured professor of political science. She was a visiting scholar at the Ministry of Finance in Tokyo. She also taught at Northwestern University in Illinois and at Columbia University in New York. Woo holds a Ph.D. in political science as well as an M.A. in international affairs, both from Columbia University, and a B.A. from Bowdoin College in Maine. Her specialty is international and comparative politics with a focus on East Asia. A native of Seoul, Korea, she speaks Korean and Japanese and is proficient in Chinese, Spanish and Portuguese. She has authored or edited six books and numerous scholarly articles, and she is the executive producer of an award-winning film, which premiered at the Smithsonian Institution in 2006. Woo is married to Bruce Cumings, an author, lecturer, and the Gustavus F. and Ann M. Swift Distinguished Service Professor of History at the University of Chicago. Their son, Ben Cumings, 23, is a recent graduate of Bowdoin College and an aspiring actor. On April 3, 2017, President-elect Woo will begin a transition period at the College, working closely with President Stone. On May 15, 2017, she will assume the helm as the next president of Sweet Briar College. 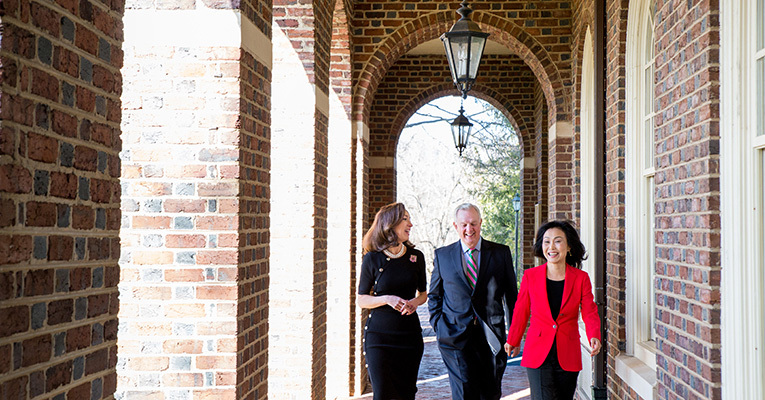 Nationally recognized search firm Storbeck/Pimentel & Associates, led by partner Anne Coyle, facilitated the Sweet Briar presidential search process.